Please relax the luxury of your heart. We offer a variety of tastefully decorated rooms to make your stay a pleasant one. In the room equipped with a hot spring bath, you can relax and take a long time bathing as you like. Spend a luxurious adult time with plenty of private time. Beyond the big window there is a mountain cherry tree. Completed in October 2017. 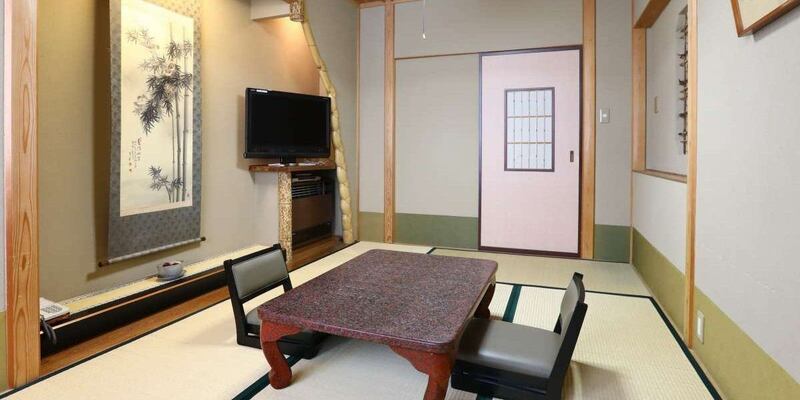 A room for 2 adults with a bedroom with twin beds (using Simmons mattresses) and a white hot spring hot spring bath in addition to the Japanese-style room where guests can relax in the 21 square meter Ryukyu tatami mat. It is a style that you can enjoy just because it is modern Japan, spending in bed while feeling the comfort of being in Tatami. In the room where you can see the cherry blossom trees from the window, you can forget your daily noise and spend time relaxing. ※View of Shigaraki pottery The open-air bath is a sulfur spring with a sink. Completed in October 2017. 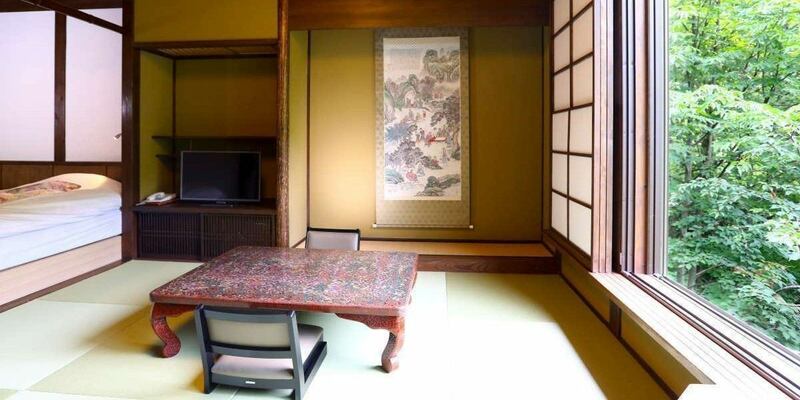 It is a room for 2 adults who arranged the white hot spring hot spring observation bath in the room of the Japanese-style room which imitated the orthodox school building construction that is the upper class housing style in the modern era. 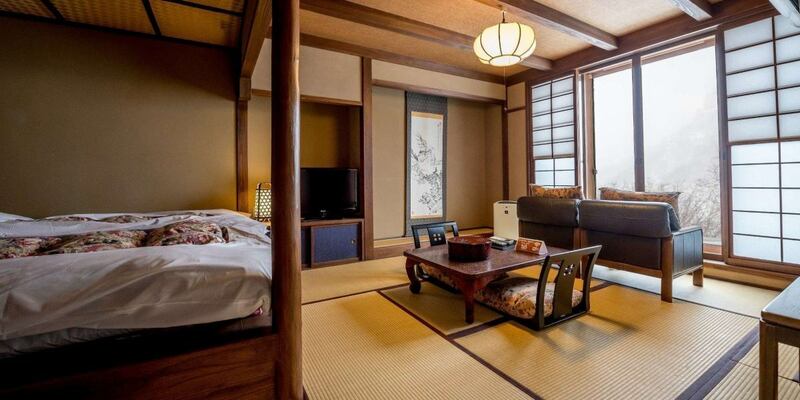 You can rest on futons on tatami mats in a calm Japanese-style room. Forget the hustle and bustle of your day in a room with a view of the river and walnut trees from the window and have a relaxing time. A special room, Yamaboushi, a soft day of autumn is inserted. Completed in October 2017. 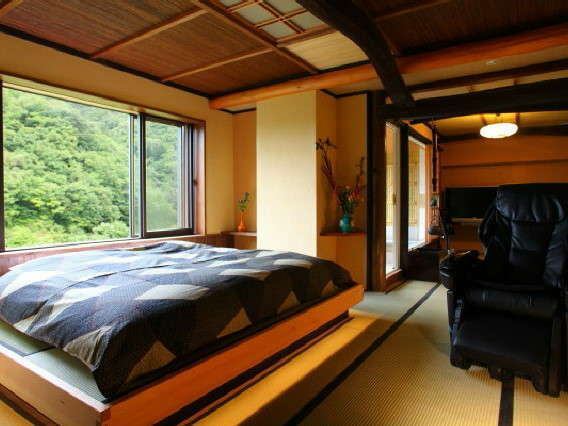 Bed-style Western-style room with the image of a mountain villa. This bright room is based on white and has a sense of unity with nature viewed from the large window. A sofa and a white hot spring hot spring observation bath are arranged on the whole boarding floor. Forget the noises of your day in the room where you can see the Yamaboushi wood from the window and spend some time relaxing. A room where nature like the picture of one width spreads from the large window of one wall. 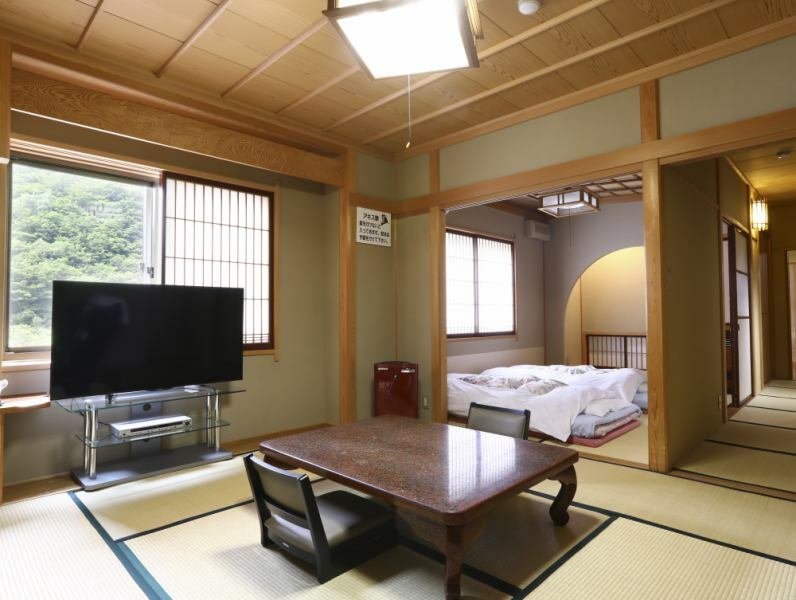 A room with calmness and softness that incorporates Japanese modern taste while emphasizing the taste of Japanese, and a room with a hot spring view open-air bath. We have prepared a futon (using Simmons mattress) in advance. ※A stylish tiled outdoor shower is a sulfur spring with a sink. Old-fashioned-style rooms on the top floor of the property with tasteful furnishings throughout. Enjoy the starry sky bath from the bath and bedroom with a good view. Enjoy a fresh spring bath overlooking the mountain stream and a luxurious moment to enjoy the starry sky. ※The observation open-air bath is a simple spring of Shigayama Onsen. Spacious rooms with 18 square meters and 10 square meters. 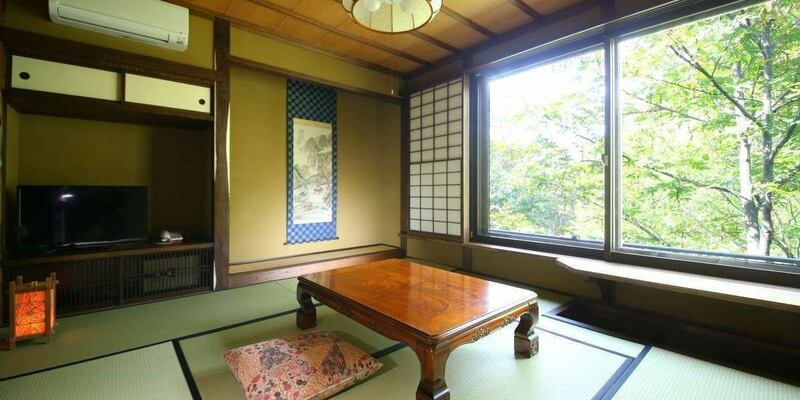 You can relax and enjoy the open-air outdoor bath in a room that is made of Menkawa and stuck to everywhere. Family and couples, with special people ... It is a room that can be used widely according to various scenes such as anniversaries. ※Outlook The outdoor bath is a sinking sulfur spring. The room is decorated with bamboo works and elaborately designed. Wrapped in bamboo, you can relax comfortably. The unique design of bamboo is a room with many fixed fans. 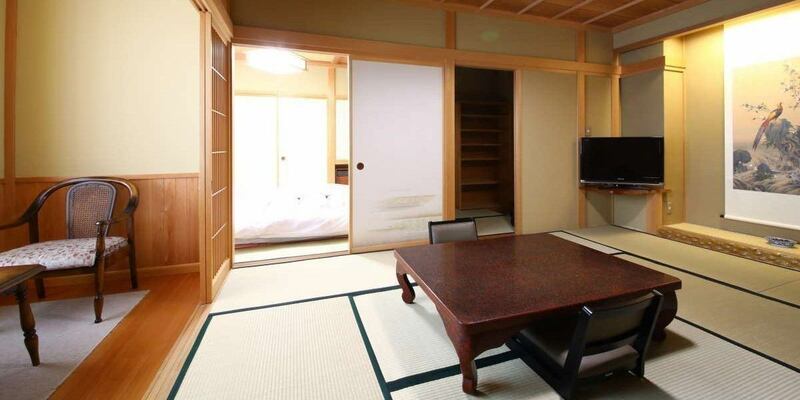 E-hoshi·Kasaboshi room: It is a room with 14 square meters plus hot spring bath on wide edge. 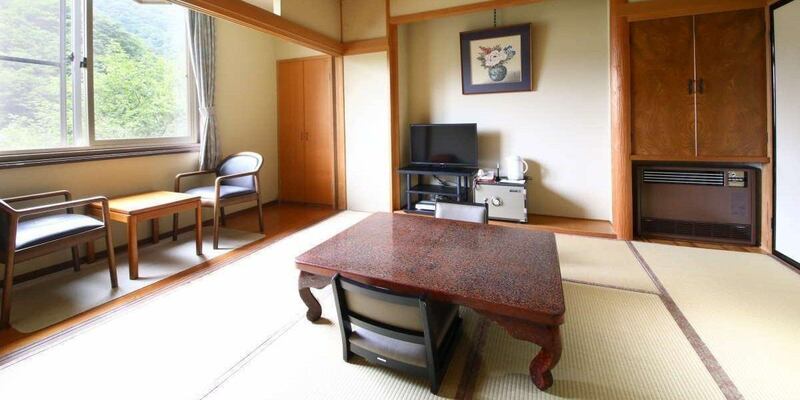 Standard room with Japanese-style room of 14 square meters and hot spring view open-air bath. It is a private space where you can enjoy the hot spring anytime. Make yourself at home, feel at home, forget about everyday life and spend extravagant time. 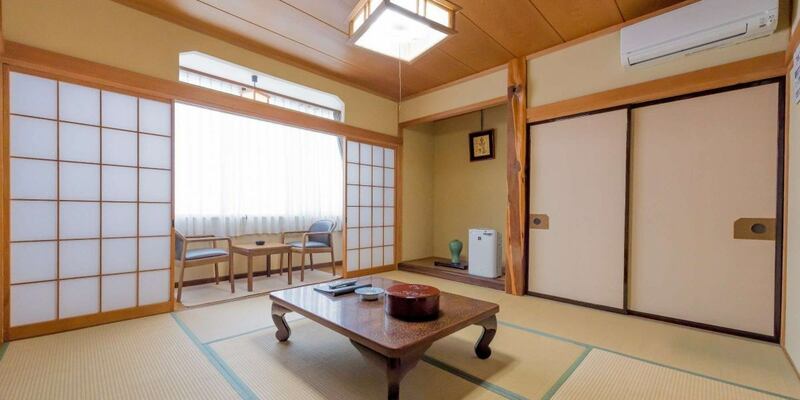 The Japanese-style room with cedar, the color and texture of wood give healing and comfort. As for the bath, in addition to the reserved huge stone bath, please enjoy the 2 kinds of hot spring of the inside bath and the open-air bath. ※A reserved huge stone bath can be used for 1 hour. Please understand in advance that it may not be received in the desired time zone. 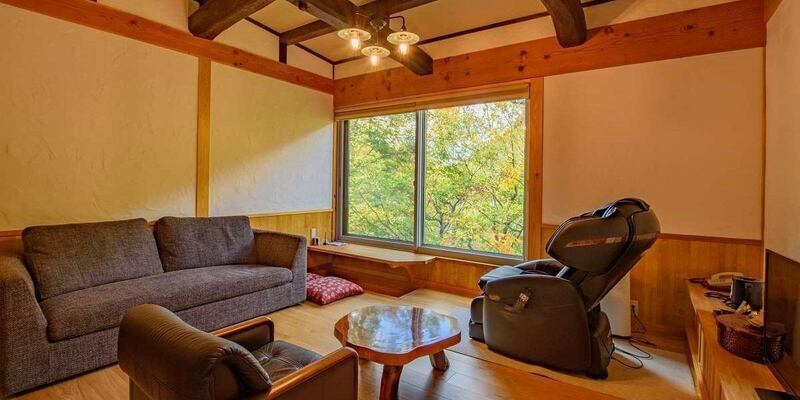 Hinoki-no-Ma: Large room with 18 sq m + 10 sq m + broad edges, massage chair. A Japanese-style room using a rattan, a space that feels the warmth and tenderness of trees. 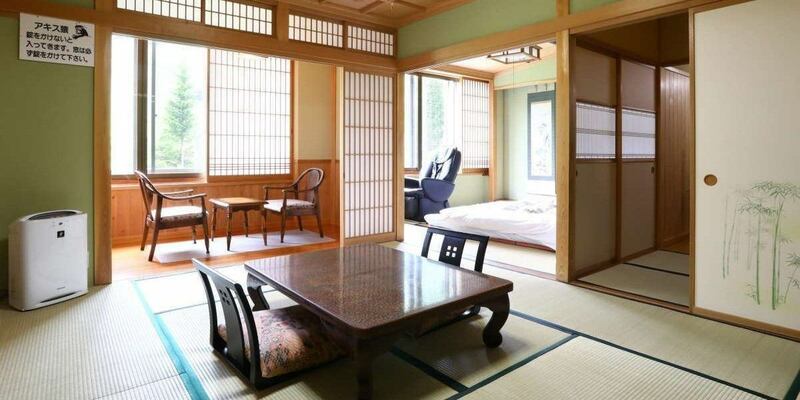 Japanese-style rooms 12 square meters or 14 square meters are Japanese-style rooms without a bath. Please relax the daily fatigue in the open-air bath of sulfur spring, which faces the clear stream of Yokotawa, the public baths of simple springs, and spend a relaxing moment.